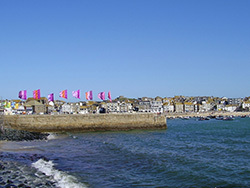 This page covers a number of places to visit and things to do in St Ives that are not covered elsewhere. 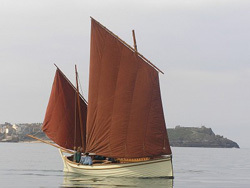 There is alaways plenty to do in St Ives so take a look at the listings below for some ideas. 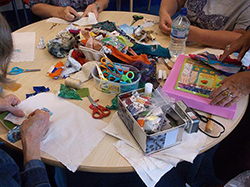 Jo runs creative crafts workshops in St Ives for adults and children - groups, individuals or families. She can arrange a venue - or come to you in your holiday accommodation. Have fun - get creative - do something different ! 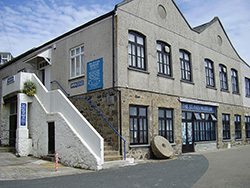 One of the few public open spaces in St Ives, apart from the beaches, run by an enthusiastic and dedicated community group. 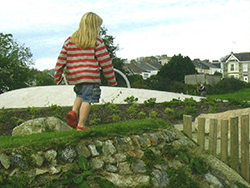 The space has a large grassed area for ball games, childrens play area, butterfly garden and nature zone. 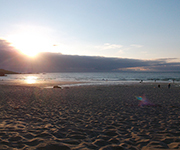 It is a short distance from the town centre - up the hill from Porthmeor Beach. The group are always looking for more volunteers to help with planting and general maintenance of the site - new members are welcome. Their website has details of latest news and events. 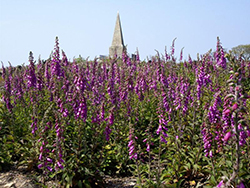 A beautiful forty acre public open space and nature reserve around Knill's Monument, on the hills to the south of town overlooking St Ives Bay. You can explore the woods, stroll over heathland and discover areas planted with young trees. It really is a great place to visit and a chance to get away from the crowds when St Ives is busy. Many activities take place at the reserve, including volunteer work sessions on Sunday afternoons (2.00 pm -4.00 pm), research projects and community events. Entry is just £1.50 for adults and 50p for children. Would you like a full listing here ? Click here for details of how to get listed. Or simply call Steve on 01736 797 122.